We've reached the end of our Save the Date recap - and we wanted to finish with some lovely, classic examples of card announcements. 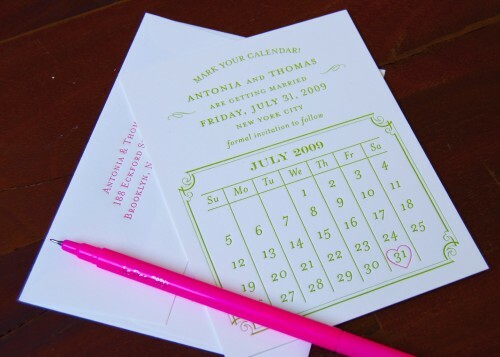 We really like this simple calendar design with the heart-shaped date marker - can't you imagine guests keeping this on their mantlepiece or fridge as a pretty reminder of the upcoming wedding? We really enjoyed working on this destination wedding. 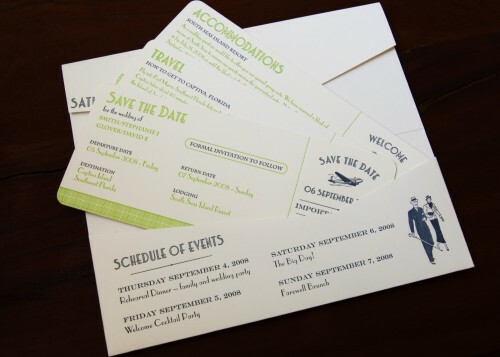 All of the separate items fit into the custom envelope and they have a wonderful 1920s vintage travel feel!